Facial recognition systems have been around for decades, and were first developed by the computer scientist Woodrow Bledsoe in 1964. Nowadays, such technology is a common part of our lives. 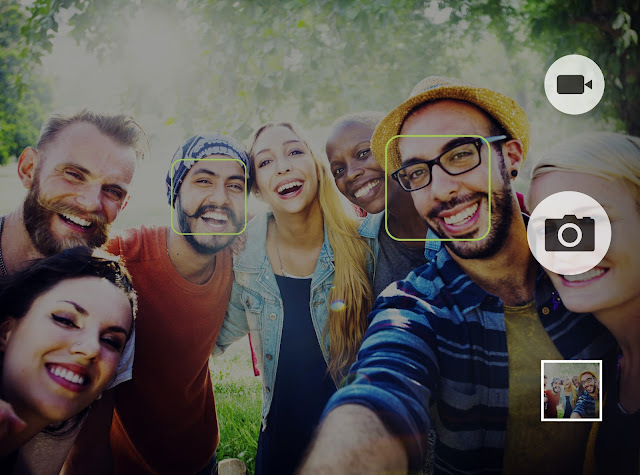 For example, Face ID was one of the key features of the latest iPhone and Facebook help us tag our friends in photos with suggestions based on facial recognition. 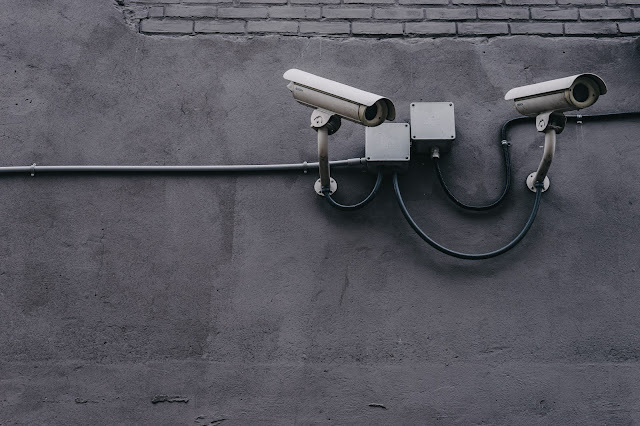 Whilst questions of privacy remain, the technology has matured in recent years thanks to advances in Big Data and Artificial Intelligence and in this blog we'll explore some applications which bring added safety to our lives. The term "facial recognition" refers to biometric technology that can be used to identify an individual. The basic process involves capturing a photo of the person and comparing it to a database photo. In order to find a match, algorithms are used to compare various points on the face, meaning it is a truly "Big Data" process. Now, the same Deep Learning algorithms that many AIs use can be applied, meaning that facial recognition is getting even smarter. Figure 1 : You may see policemen of the future wearing sunglasses with built-in surveillance capabilities. The first area where facial recognition is already being applied is policing. In China, successful trials of "sunglasses" with facial recognition capabilities have meant that the technology is being tested in the wider Beijing area as well. The wearable technology is linked to a database of criminal records and if an individual's face matches one of the list, an arrest can be made. You can catch a glimpse of the sunglasses in action in this video. Similar glasses have been used by police in the UK for large-scale events such as the Notting Hill Carnival. In events such as these, where there are large crowds of people, facial recognition comes into its own, since the human eye would have no change of scanning thousands of faces. A "Smart Lock" is a device which looks like a doorbell but has a camera built-in which, when using facial recognition or voice activation, can allow individuals to enter their home without needing a key. AirBnb will use Latch smart locks to secure their own-branded apartments that open this spring. A smart lock would allow AirBnb to guarantee the identity of the individual staying in the room or house (currently it can only confirm the identity of who made the booking). These devices have been growing in popularity and sophistication recently. This fact was shown by the fact that Amazon recently acquired Ring, a smart lock making start-up, for an estimated $1bn. Amazon will likely integrate these locks with their Amazon Key service, which is the first "In-Home" delivery of its kind. You can watch a demonstration of a delivery using this on YouTube. Figure 2 : Facebook is starting to use facial recognition to detect photos of you where you haven't been tagged. Facebook have been using facial recognition for a while now, in order to detect faces in photos and make suggestions of who to tag. However, the company quietly released an update last month (that many users didn't notice) which takes the technology one step further. Now, Facebook will scan photos uploaded to the site to find ones that you are in, but aren't tagged in. The idea is that this can help protect you from strangers uploading photos of you, and give back control of your online presence. What upset many users was not just that the notifiction of the change was easily overlooked, but that the default setting for the service is "on". Before closing, it's worth highlighting the common questions of privacy. There exists a trade-off between the added security that facial technology can bring (in terms of surveillance etc) and the reduced amount of privacy that people have when their faces are being scanned (since permission isn't required by law). In China, where the technology has seen most use and development, privacy laws are less strict, meaning that facial recognition can be used with more flexibility. In time, these questions will have to be tackled at a global level, in a similar way that data rights are being addressed with the incoming GDPR. For now, don't forget to follow us on Twitter, LinkedIn and YouTube to keep up to date with all things LUCA.